All The Write Stuff: Meet "The Art of Falling" Author Kathryn Craft! What an exciting year for you with having your first book THE ART OF FALLING recently released and already going into its second printing, and having a second book WHILE THE LEAVES STOOD STILL due to be released next year. Congratulations! It is indeed a special pleasure to see “one of our own,” who has been a GLVWG “Write Stuff” Conference Chair herself, experience such an exceptional debut. KATHRYN CRAFT: Thanks so much Tammy! The book was only six days past its publication date when I found out that it was selling beyond expectation, and that they were going back for the second printing. If my agent and the publisher hadn't already had several back-and-forths on it when I discovered the email thread, I wouldn't have believed my eyes! A dream come true. 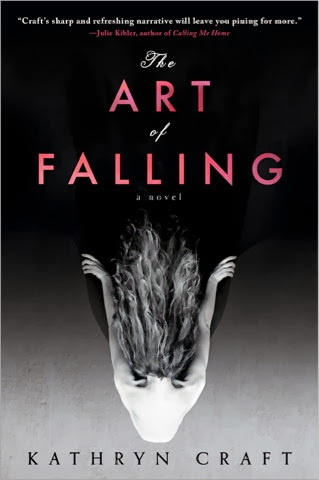 THE ART OF FALLING uses a masterful and brilliant format threading a dual story -- Penny’s present, trying to figure out how to live with her 14 story plummet, and a look at her past and her choices which put her on the balcony that fateful night. I’m curious, what was the deciding factor which made you tell the tale this way? KATHRYN CRAFT: I discovered it by accident. My first opening showed Penny out on the ledge about to take the fateful plunge, and due to its high drama I suppose, this incarnation placed third in a state-wide novel opening contest. But I couldn't sustain the tension. The question raised by this incident is "Oh no—will she survive?" The reader turns the page, sees Penny wake up in the hospital, and yep—question answered. Book over. Important lesson learned: the story question must sustain the reader until the end of the book. And so began the intense period of learning about story structure that resulted in my work as a developmental editor and prompted the Incite Me! workshop I'll be teaching before the conference. Turns out the fall wasn't the inciting incident: it was waking up afterward, and what Penny decides to do with that. The baker on whose car she landed, her hospital roommate, and the doctors all want to know how she parted from that balcony, but Penny doesn't have the energy or the will to face it—she wants to know how she'll move again, and live up to her disappointing body's zest for life. At this point I realized I had two strong story questions: what happened to make Penny fall from the very height of her dream career, and how would she make something of this extraordinary second chance from rock bottom? These questions "incited" the story's two story lines, which I then interwove. Only at the end of the book, when Penny has healed, can she face the missing piece: that fall. An inciting incident is rarely straight-forward. Because it must set up the entire book its facets can be difficult to craft. In the pre-conference workshop we'll take a good hard look at this crucial story element so everyone can appreciate its ability to bind the reader to the protagonist for the length of the entire story. I find it ironic that your protagonist, Penny, who is easy for a reader to get a deep sense of, never has a physical description written in your book. How did you do that? And why? KATHRYN CRAFT: Although I employ hints from various characters as to what Penny looks like, I am not big on physical description in general, unless it adds depth to the characterization or pushes along the story line. But since I orchestrated the cast of secondary characters according to their differing relationships with their bodies and food, I do describe them to some extent. Penny was different. Obviously, since she has an aberrant body image, what she looks like might seem to be of utmost relevance—but she's an unreliable first-person narrator, so we wouldn't be able to believe her anyway. I recognized an opportunity for the reader to enter the story more deeply by contributing his or her own body bugaboos to Penny's body. I look forward to speaking to book clubs and hearing people argue about what Penny looks like! In my mind, the Penny that needs expression isn't about the parameters of her body. It's the tender creative core that wants to find its way to the sun—and in that, Penny could be any one of us. Do you think paying it forward by being a part of the writing community, such as previous board positions with GLVWG and now, the Philadelphia Writers’ Conference and the new Women's Fiction Writers Association, has helped with your writing career? Also, what advice would you give someone new to volunteering and may be shy? KATHRYN CRAFT: I met my own writing partner, Linda Glaser of Ithaca NY, at the 2005 Write Stuff conference. Linda is far from an extrovert, but knew she needed to emerge from her solitary writer's life if she stood a chance of seeing publication. Her goal was to go to a different regional conference each year and try to meet a few people. That didn't work out so well—she kept coming back to The Write Stuff year after year. We ran the Friday reception differently back then and I remember Linda strolling in and asking quietly if this was an event tied to the writing conference. I said yes, but apologized that it was only for volunteers. She said, "How can I help?" and I went to get her a name tag. Working side by side we discovered similar interests and agreed on a trial manuscript swap—and the rest is history. When I ran for my second term as GLVWG president, I overheard someone in the back of the room say, "What is she, a doormat?" I could only chuckle to myself, because here are the facts: thanks to my volunteerism I have tons of friends who are writers and friends who are agents and editors and friends who are published authors that have mentored me in numerous ways in thanks for hiring them; I've had opportunities to be on TV, radio, and speak at libraries; I had the chance to start programs that met my needs for learning craft and networking and reading in public; eventually I learned to the point that I could pass that knowledge along to others through critique and as an independent editor and by teaching my own workshops; my mentoring has earned me loyal readers. All of that made me a better writer, and even more, a writer who understands the publishing business. I can see absolutely no downside to working alongside other writers to keep our literary community thriving. It might just be me but I’ve seen more information on beginnings and middles but not as much for endings. I was wondering if we could have a little teaser about your upcoming session LAST WORD ON ENDINGS? KATHRYN CRAFT: That's what I thought, Tammy, and that's why I developed this workshop. What author hopes that her reader will close the back cover, push the book away, and say, "I was curiously unmoved"? Not me! I don't want to settle for anything less than "joyous," "heart-warming," or "gut-wrenching." A story is first and foremost an emotional experience and I for one want that emotion to fill the reader like a satisfying meal rather than escape with one quick burp. You co-authored THE 7 DEADLY SINS OF SELF-EDITING with Janice Gable Bashman which was published in Writers Digest Nov/Dec 2012 and made their top articles for 2013. Congrats on that too! So out of curiosity, which of the 7 are you most guilty of, and how did you overcome it? KATHRYN CRAFT: Tammy, you are the devil herself for asking! I'd say that from the start my main problem was gluttony—overstuffing the story with irrelevant conflict and tension. This was an outgrowth of an early piece of well-intentioned advice I'd heard, that "story is conflict." While it's true that without conflict there is no story, that quote is only part of the picture. I've now learned that story is about a "certain kind of conflict"—and having learned that lesson I am now sensitive to seeing the same issue in other manuscripts. As a developmental editor at Writing-Partner.com along with running semi-annual writing retreats, what do you find to be the most common mistakes writers make and what advice have you given most frequently? KATHRYN CRAFT: I developed the specialty in developmental editing because of the overwhelming number of issues I see related to the same basic issues of storytelling structure. These issues manifest in predictable ways: fizzling tension, irrelevant conflict that pops the reader out of the story, lack of character orchestration, and a lack of cohesion that only a concerted focus on or subconscious adherence to premise can provide. The writer may have lost interest in her own story! I love nothing more than helping that writer deepen character motivation, raise the stakes, align the structure, and set her on fire to improve her manuscript. Last question, Kathryn, what is next for you? KATHRYN CRAFT: Next up is a story I had begun drafting as a memoir about my first husband's suicide during the many periods that The Art of Falling was out on submission. Due out from Sourcebooks in Spring 2015, WHILE THE LEAVES STOOD STILL, is the story of a tense ten-hour standoff between one desperate man ready to take his life and the police, while the three women who loved him most, and the larger community, grapple with how best to find hope. Thank you again for doing this interview! And all the best successes your way! 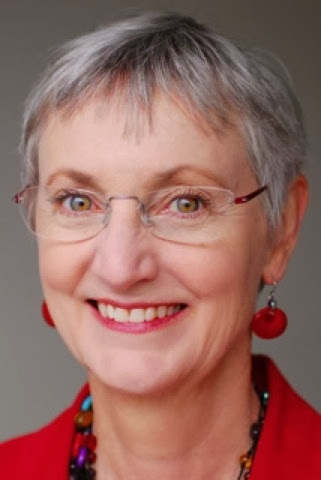 Tammy Burke, GLVWG member, 2011 conference chair and past president, has published over 300 newspaper and regional magazine articles and has interviewed government officials, business leaders, everyday folk and celebrities. Currently. she is in the revision stage for her first YA fantasy adventure book, the first in an intended series. When not writing, she works in the social service field and is a fencing marshal in the Society of Creative Anachronism (SCA). Great interview. Full of insight into how to craft a story that is worth reading. Kudos to both interviewer and interviewee.